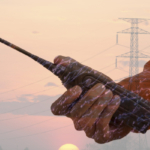 Water resistant two-way radio technology is an important advancement in many industries, allowing work to continue regardless of weather or water-related accidents. We carry a number of waterproof two-way radios that employ the latest technology in order to keep you connected no matter what. There are water resistant technologies made by a large variety of businesses, each employing a slightly different method for keeping water out of everything from cell phones to two-way radios and even clothing. Not all two-way radios are waterproof, and there are different levels of ‘waterproof’, including water resistant and waterproof. A water resistant rating IP67 represents radios that can be submerged for short periods of time without sustaining damage. This type of rating is considered ‘water resistant’ as opposed to waterproof. Water resistant means a radio is not likely to break if exposed to water, but it shouldn’t be tossed in a bucket of water for over an hour and expected to survive. Water-resistant radios come with a special coating on the chips and other sensitive interior components; this coating does a good job keeping water out. Waterproof radios do an even better job at keeping water out of moisture sensitive electronic parts. A waterproof rating of IP68 rating signifies a device can be submerged for long periods of time without sustaining damage. This rating allows for continuous emersion under the harshest conditions, such as saltwater. Unless your team is constantly going underwater, IP68 level waterproof is more than you likely need. A water resistant rating IP67 is all you need in most typical cases, for instance using radios in the rain or accidently dropping your radio in water for a short amount of time. There are a number of high quality water resistant Kenwood radios that are easy to use and equipped with the latest features and technology. Kenwood radios run on the NEXEDGE radio system, which strives to offer the latest level of communication. 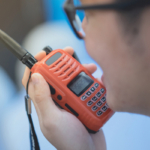 As one of the leading providers of two-way radios, companies and institutions of all sizes and purposes rely on Kenwood radios. The Kenwood NX-5300 is one of the most advanced water resistant radios you can get your hands on. It is an industry grade UHF radio that comes with Bluetooth, GPS positioning, SD card slot and more. If you want the radio that offers the most possible features, this may the best option for you. The fact that it is water resistant just makes it that much better. The Kenwood NX-300 is yet another full feature water resistant radio with so much to offer. Due to its water and dust-resistant qualities, this is an ideal radio for marine and construction environments. It also has amazing audio quality and a huge screen capable of displaying more than twice as many characters as previous models. Added programmable features and a large internal memory push this radio over the top, along with its capacity to handle multiple frequencies and channels. 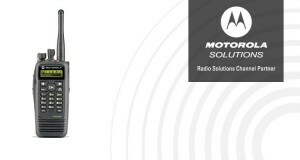 Motorola Solutions offers the latest technology and connectivity with their wide range of water resistant two-way radios. Motorola’s radio system is known as MOTOTRBO, offering superior capacity, voice quality and integrated data communication. These radios are built to globally recognized ETSI DMR Tier 2 standard and offer both UHF and VHF frequency bands. 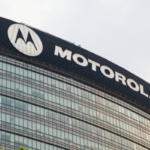 Huge corporations, public fire and police departments as well as small start-ups all use Motorola radios. Water will not harm this radio, as it is submersible IP57. The XPR-7550 is one of Motorola’s most fully loaded models. It comes with a full color LCD display screen, GPS and Bluetooth capabilities. The fully featured digital radio has pretty impressive data application, pair this with the crisp clear screen and this radio resembles a smartphone. Unlike a smartphone, this radio is built to last with its rigid design and unsurpassed durability, making it an ideal form of communication in any environment. This radio is water resistant (IP57), and it is also considered one of Motorola’s most versatile options. Bluetooth, IMPRES battery technology, GPS capability and a strong durable shell all work together to make this particular model an easy favorite. Thanks to GPS information and the latest Motorola digital platform this radio is perfect for keeping your team connected at all times. For the latest Kenwood and Motorola water resistant two-way radios contact the leading provider in Florida, Highland Wireless! 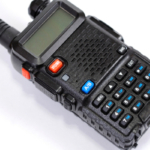 We are happy to help you find the perfect radios for your team.